Full Coverage Car Insurance: What Is It? We often have people call requesting a car insurance quote for “full coverage”. However “full coverage” doesn’t really exist. The bank wants you to have comprehensive and collision because those coverages will pay to fix damage to your car so that you will keep making payments on the car loan. The state wants you to carry liability insurance because it helps pay for damage you cause in an accident. That is quite a bit of coverage but it may not be all that you need, which is why the term, “full coverage” may be misleading. Comprehensive Coverage — Helps pay to repair your car if it’s stolen or damaged by a covered cause, such as an animal collision, weather, a falling object, fire, or vandalism. Collision Coverage — Helps pay for repairs to your car if you crash into a car or other object, such as a tree or a telephone pole. Comprehensive and collision coverages are not cheap but a single claim can make it worth the cost. If replacing a stolen car or repairing your vehicle after a crash is more than you can afford or want to pay out of your own pocket, you will want to have comprehensive and collision coverage aka “full coverage”. Remember, also, that both comprehensive and collision coverages have a deductible. Most banks will allow you to reduce your insurance cost by having a $1,000 deductible but can you afford $1,000 to get your car out of the shop? Maybe a $500 deductible will only cost a few more dollars a month. When buying a policy, “full coverage” means “the least amount of coverage I can pay for to make the bank happy and give me my car.” To that same person, after a serious accident, “full coverage” means “everything is covered.” Including towing, a rental car, medical bills, you name it. Having “full coverage” car insurance doesn’t mean you have “full protection no matter what”. Depending on the seriousness of your accident and your own personal circumstances, having “full coverage” probably means you don’t have enough protection. Medical/Personal Injury Protection Coverage (PIP) — Helps pay for medical expenses for both you and your passengers regardless of who was at fault in a car accident. PIP can also pay if you are in someone else’s car as a passenger or a pedestrian struck by a car. Uninsured/Underinsured Motorist Coverage (UM/UIM) — With this coverage, your insurance company pays you as if they were the other driver’s insurance company, when that driver either has no coverage or has less coverage than you do. This relieves you of the need to sue the other driver to recover your losses. Customized Equipment & Parts Coverage — If you have a custom sound system, non-stock chrome rims, or other fancy tweaks to your car, “full coverage” won’t help you replace or repair them after an accident — but this coverage can. Rental Car Coverage — This can cover the cost of a rental car after a covered accident (usually it reimburses you). Emergency Roadside Assistance Coverage (aka Towing) — Coverage if your car breaks down while on the road and you need towing or roadside service. Gap coverage — If the insurance company determines that your car is totaled and you owe more on the car than it worth, gap coverage will pay off the remaining loan amount. Since there is no such thing as “full coverage” when you ask an agent for “full coverage” it will may include more or less than what the next agent considers “full coverage” and that may not be the best car insurance coverage for you. If you ask for a “full coverage” policy, you will still only have the coverages you choose and will only be covered up to the limits you select. If the damage you cause to the other person or object exceeds your liability limits, you could still be legally liable for the difference out of your own pocket (a good argument for higher limits). Examine your own personal needs, your vehicle, and your budget to determine what coverages will work best for you then talk to your agent and get the amount of protection you need and that gives you peace of mind. If you are shopping for car insurance and you’re looking for maximum protection, consider all the coverage options above and look beyond what the misleading term “full coverage” includes. A good rule of thumb: Buy as much coverage as you can comfortably afford to cover the risks you want to avoid. Towing is a nice coverage to have, but most of us could afford to pay for a tow every couple years. A rental car after an accident is nice, but if you have an extra car that you can use, why pay for the coverage? 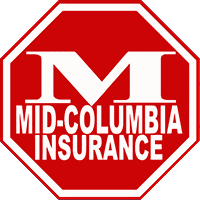 You can call us or come into one of our offices in Kennewick, Pasco, or Yakima, or use our online quote page to build your car insurance policy with the coverages, options, and deductibles that make you feel “fully covered”.